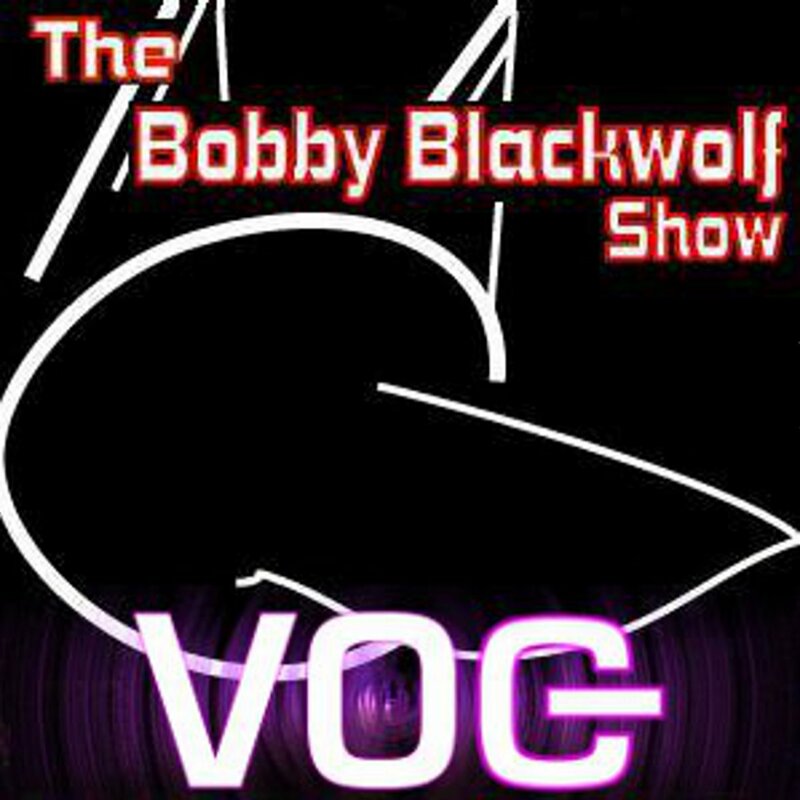 The Bobby Blackwolf Show is a weekly internet radio show and podcast discussing the latest news in gaming as well as sometimes reminiscing about gaming's history. It records LIVE on Sundays at 8PM Eastern/5PM Pacific on the VOG (Voice of Geeks) Network Twitch Channel while taking live calls via Discord and including chat room interaction. The show began in October of 2004 as an internet radio only show, taking a hiatus in December of that year. It relaunched on July 24, 2005 and has been broadcasting new content every weekend ever since. On December 18, 2018, it moved from radio to video on Twitch. While the show focuses on recent news and events in the gaming industry, frequently it delves into the independent or barely mentioned gaming scene, as well as discussing gaming's history with classic games. The show has covered six E3's, two GDC's and Independent Games Festivals, four Penny Arcade Expos and multiple Dragon Cons, as well as other gaming events in the southeast, like SIEGE and the Southern Fried Gaming Expo. Some guests of the show during its long run have been: Video Games Live, Homestar Runner, Atari Flashback 2, Beggar Prince, MechCorps, The Silver Lining, PlayStation Home, Gearbox Software, Devolver Digital, Telltale Games, and the IGDA. Bobby has also interviewed voice actors AJ LoCascio (Back To The Future), Jessie Seely (Double Dragon Neon), Ellen McClain (GLaDOS), John Patrick Lowrie (Team Fortress 2 Sniper), and Jennifer Hale (Mass Effect FemShep), as well as musicians Tommy Tallarico (Everything), Ken Allen (Sierra On-Line), Jake "Virt" Kaufman (Shovel Knight and DuckTales Remastered), and GRAMMY award winner Christopher Tin. The show does not work without YOUR live interaction, and each chatter is thanked personally at the conclusion of each episode. Come join us on Sundays at 8PM Eastern/5PM Pacific at the VOG (Voice of Geeks) Network Twitch Channel! Episode 595: December 3, 2017 - Augmented Reality Lawsuit Settled, Does Pokemon Go Kill People? Episode 594: November 26, 2017 - Are Lootboxes Gambling, And Should Politicans Care? Episode 571: May 21, 2017 - Gear VR 2017 Impressions, Wireless Vive Coming Soon? Episode 535: July 24, 2016 - 11th Anniversary! Episode 490: July 26, 2015 - 10th Anniversary Special!! Episode 483: May 31, 2015 - Interview with George Cochrane of Juggernaut Games about Star Crawlers - MomoCon IGF Winner! Episode 482: May 24, 2015 - The Witcher 3 Dumbed Down For Consoles? Episode 446: August 10, 2014 - Sweeping Twitch.tv Changes, Will Competitors Follow Suit? Episode 432: May 4, 2014 - Zenimax sues Oculus, 1 vs. 100 Coming Back? Episode 431: April 27, 2014 - ET Cartridges Found, Nintendo Silencing Employees? Episode 427: March 30, 2014 - Interview with Paul Boyer about Galactic Civilizations III...And then, "The Day The Dream Died"
Episode 421: February 16, 2014 - The Evil K Crushes More Candy, Microsoft To Sell Xbox? Episode 413: December 22, 2013 - NES Remix, Xbox One DRM Check Returns? Episode 397: August 25, 2013 - Sony Gamescom Announcement, Microsoft Selling Xbox? Episode 351: August 26, 2012 - I'm Tired Of Reporting On Game Industry Layoffs! Episode 349: August 12, 2012 - Steam App Store, EA and Nintendo Falling Out? Episode 322: January 15, 2012 - Xbox Live Hacking, THQ Selling? Episode 310: October 2, 2011 - Battlefield 3 Beta Bans, iOS Not The Promised Land? Episode 306: August 21, 2011 - Gamescom, PC Devs Listening To Gamers? Episode 294: May 29, 2011 - Old DNF Preorders, NGP Downgraded? Episode 292: May 15, 2011 - PSN Restored, Pricing Based On Consumer? Episode 272: December 26, 2010 - PC DEALZ on STEAM, Commodore Comeback? Episode 270: December 12, 2010 - GTA: San Andreas Sued Again, Death of Singleplayer? Episode 262: October 17, 2010 - Best Buy Charging for Firmware, Fable 2 for free? Episode 244: May 16, 2010 - 3D Dot Game Heroes, USAF Hurt By OtherOS Removal? Episode 242: May 2, 2010 - Canadian Summer Camps, Cub Scouts, and the Supreme Court? Episode 240: April 18, 2010 - New Sam & Max, End Of Free Demos? Episode 232: February 21, 2010 - Sony Limiting Used Games, Universal Game Controller? Episode 221: November 15, 2009 - LEGO Rock Band, Gamers Want More Fees? Episode 206: July 19, 2009 - Rock Band Country Track Pack, Indies Out Of XBLA? Episode 197: May 17, 2009 - E3 Speculation, Wii Clones? Episode 141: March 30, 2008 - Xbox Live Arcade: Good or Bad for Gaming? Episode 134: February 10, 2008 - EA Admits Screwing Up, Are Games Too Easy? Episode 132: January 27, 2008 - Burnout Paradise, Is Photorealism Wanted? Episode 122: November 18, 2007 - AGR Gamerpics, What Is a Spoiler? Episode 99: June 10, 2007 - Best of the Best: A Tribute to Game Music, Pac-Man C.E. Episode 97: May 27, 2007 - Guitar Hero III, Shadowrun Already Failed?